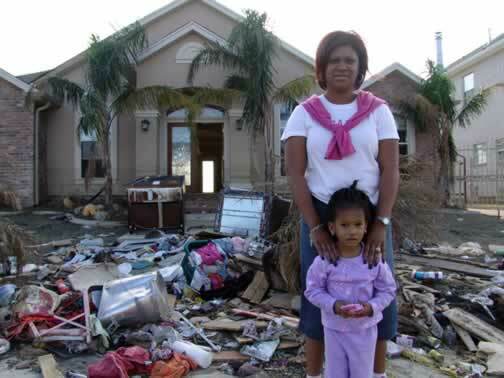 We were in New Orleans East shooting another film about Katrina’s devastation, when we turned up one of the streets adjacent to a large church and found a family going through what was left of their house. Only three years old, the house was a loss, as water had stood in the main level for a month decaying all. Everything they owned had to be piled up in the front yard for disposal. The daughter took me to her room and showed me the animals that had been painted on the walls. She didn’t want to leave her room.